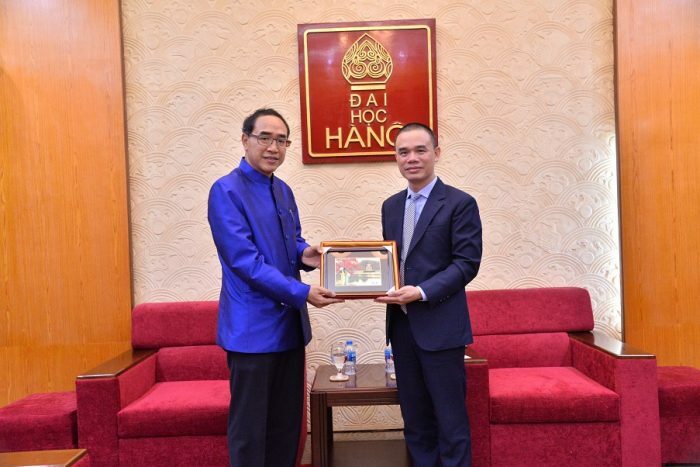 On February 15, 2019, Hanoi University was honoured to welcome Mr Tanee Sangrat – Thai Ambassador to Vietnam. 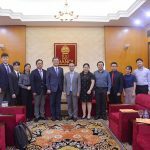 Welcoming the Ambassador, there were Assoc. 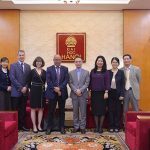 Prof. Dr. Nguyen Van Trao – President of Hanoi University and representatives of the departments and offices: International Office, Academic Affairs Department, and Center of Thailand Language and Culture. 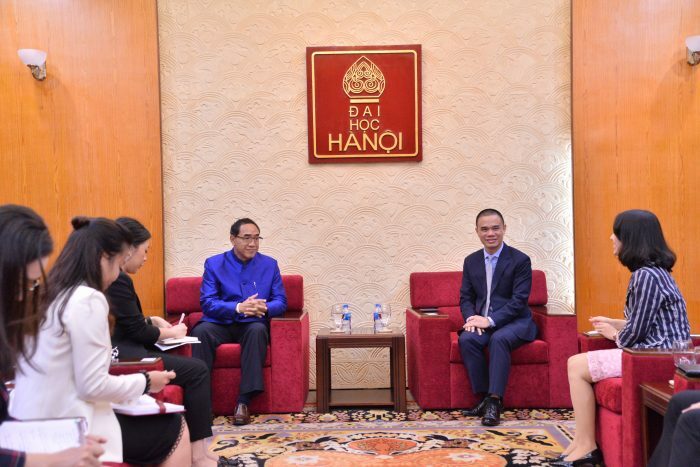 For many years, the cooperation between Hanoi University and the Thai Embassy in Vietnam has always been highly valued by leaders of two sides. 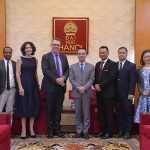 The visit of Ambassador Tanee Sangrat to Hanoi University after his recent commencement of the Ambassador’s mission in Vietnam (12/2018) this time affirmed the interest of the two leaders over the long-lasting relations. 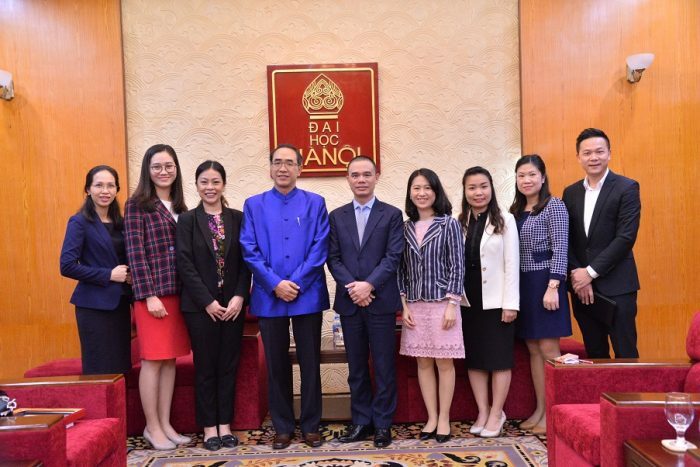 At the meeting, President Nguyen Van Trao delivered his sincere gratitude to the Embassy of Thailand in Vietnam as well as the previous generations of Embassy leaders who have always supported and accompanied with Hanoi University in bringing Thai language into teaching at the University, with the support and sponsorship in improving the facilities at the Thai Language Center. 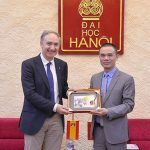 On this occasion, President Nguyen Van Trao also took this opportunity to introduce Mr Tanee Sangrat about Thai Language and Culture Center, as well as Thai language teaching activities of the university. 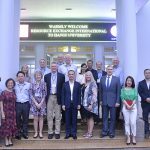 Accordingly, the centre has been teaching Thai as a second language since 2009 and has increasingly attracted the attention of students inside and outside the school. 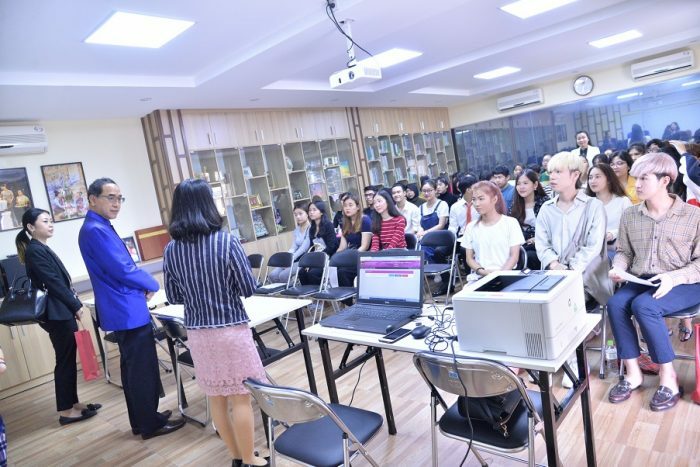 After the meeting, the Ambassador met and exchanged with Vietnamese lecturers, students studying Thai and Thai students studying at Hanoi University.